White beaches, clear seas and landscapes worthy of any screensaver are closer than you think. Ireland’s winding coastlines are teeming with beaches and little pieces of unspoilt havens. Its interiors are stippled with glistening lakes and rare wildlife and vegetation, much of which still remains relatively unknown to anyone outside of its residents. Renting a car is most apt for enjoying these spectacles and exploring the country’s largely undiscovered holiday spots. 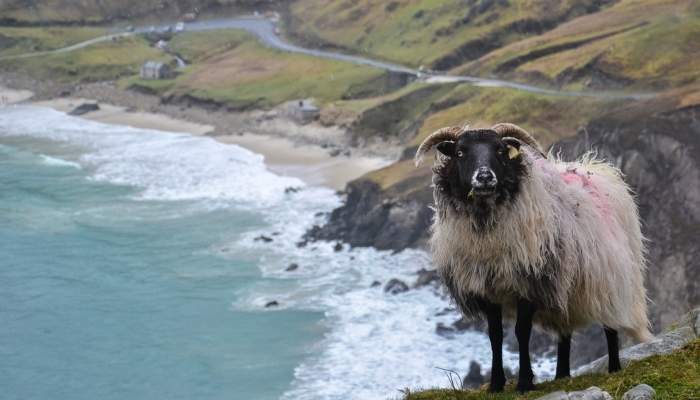 Ireland’s underappreciated coastlines and natural landmarks are the cheaper and more versatile alternative to the palm trees and coconut shells afar. Blanketed with fine, sandy beaches and pillared between cliffs, this little strand within the dramatic landscape of the Croaghaun mountains is the place for those in search of an astonishing short hike. Located at the Western end of Achill Island, walkers should take the mile-long trip to the most westerly point. At an elevation of almost 200ft sits a former coastguard watch-house amongst the quiet of the cliffs. 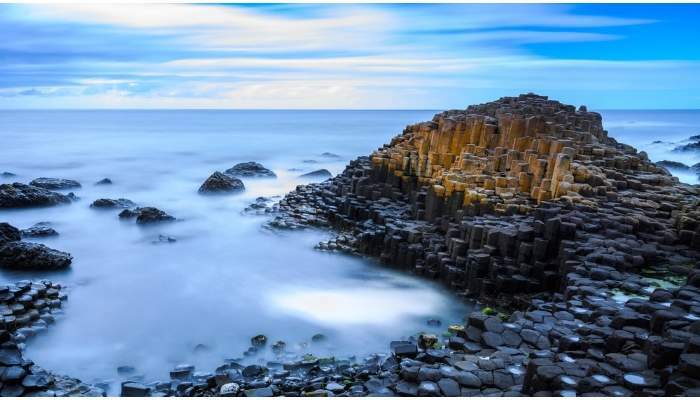 <a href=”/cheap-holidays/northern-ireland.html”>Northern Ireland</a>’s only UNESCO World Heritage Site, the Giant’s Causeway has been stupefying scientists for centuries. With its polygonal columns of basalt salt which cascade over the North Atlantic Ocean, this is a bafflingly beautiful natural landmark. Clamber up the Shepherd’s Steps to get a bird’s eye view of the causeway coast, or try the newly added accessible route which ensures that everyone will be able to ogle at the beauty below. Whether you’re of the opinion that the causeway was carved by the mighty giant, Fionn mac Cumhaill (definitely the more plausible option), or you’re sure that it resulted from the volcano eruption which happened here 60 million years ago – you’ll hear both versions from a tour guide or audio guide. Then when you’ve finished scaling the walkways, retreat for some warmth in the Giant’s Causeway Visitor Centre. Designed by award winning architects, the centre is capped by a glass roof which allows visitors 360 degrees of the Causeway coastline that are sheltered away from the gusty blows! Stretching 30 miles into the Atlantic Ocean from Ireland’s south-west coast is County Kerry’s Dingle Peninsula. 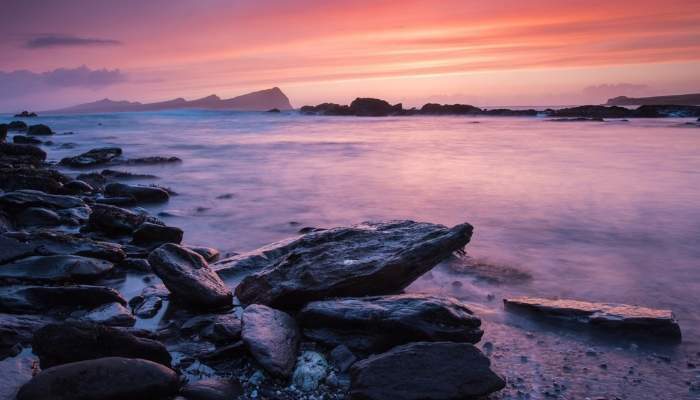 If not for its clean and clear water, soft sand beaches, or mountainous scenery – then Dingle should be visited for Fungie, the peninsula’s resident dolphin. Since his first sighting in 1983, Fungie the dolphin has inspired grown men to cry and children to laugh, and a statue in the town has even been dedicated to him. Sound ridiculous? Don’t be a Fungie cynic – there’s a real reason why this happy little flipper has become a local legend. Located near the little village of Carraroe in County Galway is the geologically striking Trá an Dóilín. With a beach made up of coralline algae, the pastel colours of this natural enigma are full of pinks bright as bubblegum and vividly orange-coloured stones. 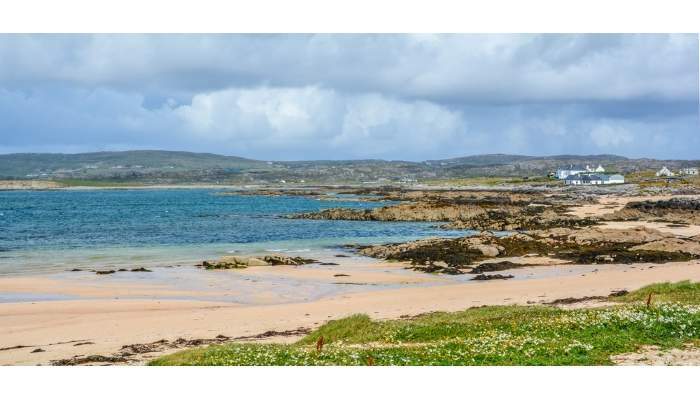 Snorkelling here is a must – the water is as clean and clear as any in Ireland, but the underwater treasures to be found here are particularly beautiful in this Blue Flag-awarded beach. Red deer gambol along the high grass, Golden Eagles comb through the skies, and salmon wade through the glittering lakes in Ireland’s second largest National Park. Marrying outstanding natural beauty with history, Glenveagh National Park is a worthy testament to Ireland’s beauty and heritage. 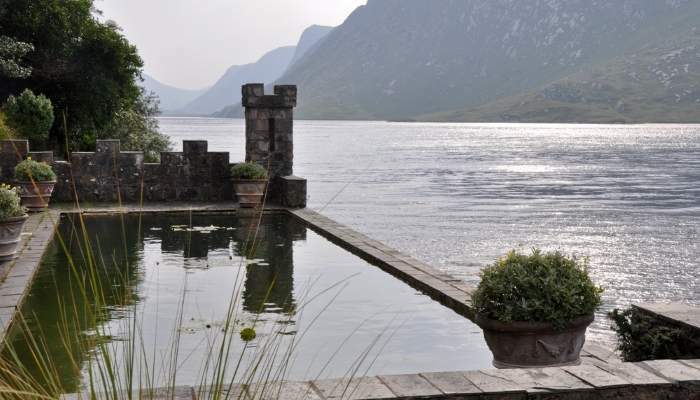 Craggy mountains surround Glenveagh castle in County Donegal, is a late 19th century castellated mansion where Captain Adair had banished hundreds of tenants to preserve the sublime landscape. The area is steeped in myth and history, since it’s been said that the captain’s cruelty had resulted in a curse being placed upon the castle. As you’re surrounded by Glenveagh’s haunting beauty, it’s almost as though you can hear the shouts between the captain and his tenants from long ago. 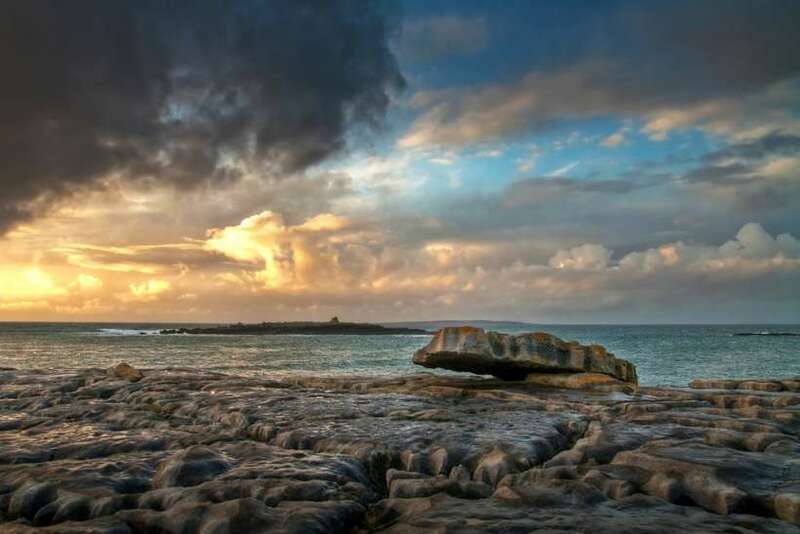 With black and golden shores that rival the geological theatricality of Iceland’s, Fanore in County Clare is a true testament to Ireland and its outstanding natural beauty. A small Irish-speaking seaside village on the north-west coast, Fanore marries the small-scale charm of coastal Ireland with amenities to please any tourist. If surfing’s your thing, then here is the place to do it. Boards can be rented, or if you’re a first-timer then the local surf school is an excellent place to learn. For Father Ted fans, his house on the show happens to be on a farm less than an hour’s drive away which serves up a crackin’ brew. 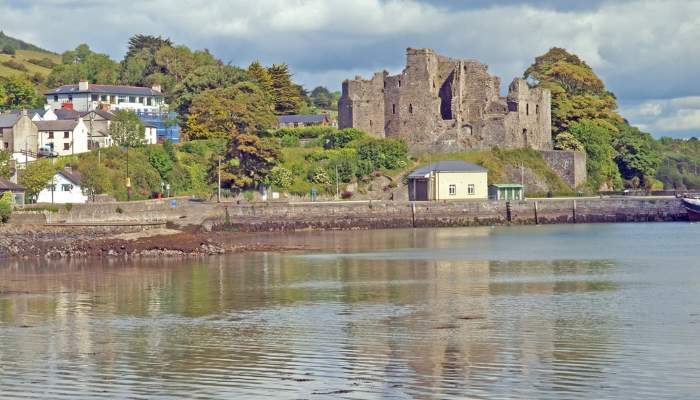 Bordering the political divide between the Republic of Ireland and Northern Ireland, and less than an hour’s drive between the two sits the little medieval town of Carlingford. It’s situated on the Cooley Peninsula, a cape which beetles out into the Irish Sea at the Northeastern tip of Ireland. Carlingford has some incredible walking trails and provides its amblers with some wonderful ways to commune with nature. Loop your way along pathways which are backed by the lumbering Mourne Mountains and look out onto the waters which reflect back their vast greenness. Tips and advice on getting great value travel - from one of our dealchecker alumni. 3nt Christmas Break at Marco Pierre White Hotel - Was £249.50! © Copyright 2019 dealchecker.co.uk. All rights reserved.